A liner pool should be kept full of water at all times. If the pool is emptied, the liner may move out of position. When adding any pool chemicals to the pool water always make sure that the circulation pump is kept running to thoroughly disperse the chemicals. The time needed for total dispersal varies from pool to pool, but it is necessary to circulate the entire volume of pool water through the pump at least once. Always read the dosing instructions on chemical packs. Never exceed the recommended doses stated. 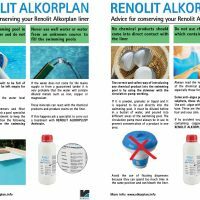 Most pool chemicals are heavier than water and if they are not dispersed, simply sink to the bottom of the pool and lie against the liner in concentrated form. This will inevitably damage the liner. Treat the pool water with one chemical at a time and never mix different chemicals together. Dilute or completely dissolve all chemicals in a bucket of water prior to adding to the pool. Always add chemicals to water, not water to chemicals. Never use your hand to stir chemical solution. 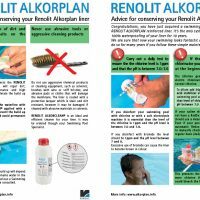 We do not recommend that you put chlorine tablets or sticks into the skimmer as bleaching of the liner may occur when the filter pump is turned off. Never scatter dry chlorine directly onto the surface of the pool water. Doing so will result in bleach spots on the floor. Treat all chemicals with respect – fire and explosion or release of dangerous gas can result without warning if handled improperly. Store all chemicals in a dry, safe and secure location by type. All chemical containers should be tightly sealed when in storage. 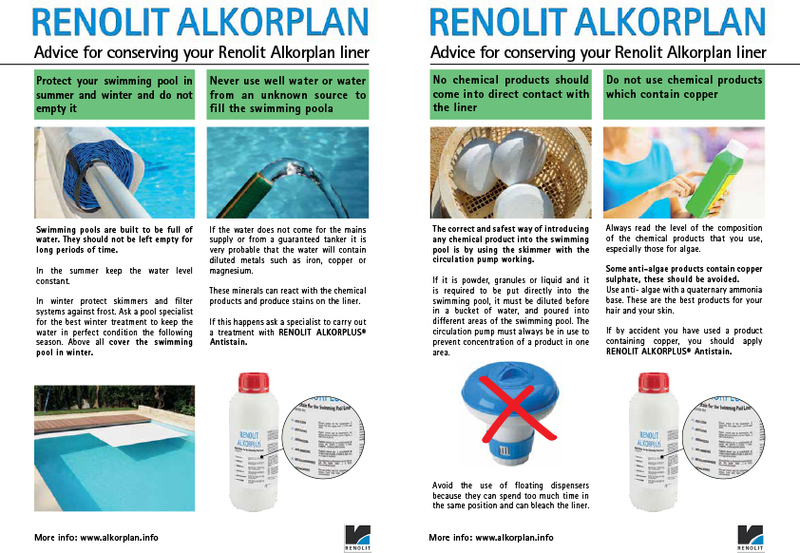 We recommend that liquid chlorine is only added to liner pools by professional pool engineers. Scum line dirt should be cleaned off on a regular basis using Aquaflex Liner Clean (see page 19). Do not use abrasive materials to clean the scum line as these will remove the pattern of printed liners and roughen the surface of plain liners. 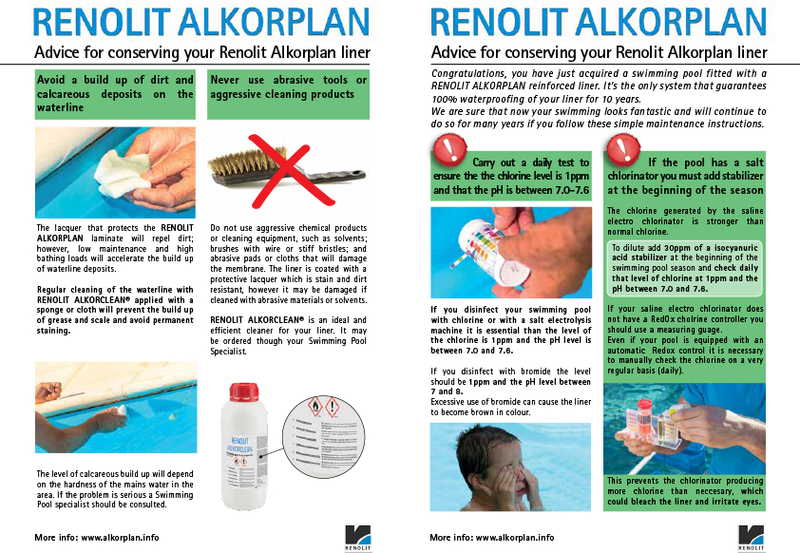 We do not recommend the use of acid based cleaners as these will discolour the pool liner.